Happy Autumn & Happy Thanksgiving to my fellow Canadians. Cozy up in your comfy chair with your favourite quilt, a cup of tea, and a piece of pumpkin pie while raindrops tap on the windows. I baked pumpkin pies yesterday. Pumpkin is my favourite pie but I rarely get to enjoy them. Guess what I ate for breakfast today?! These ones are made with almond milk! For the crust, I used 3-2-1 Pie Crust; measuring by cups, omitting the salt & sugar and using Vegan Becel as the fat. 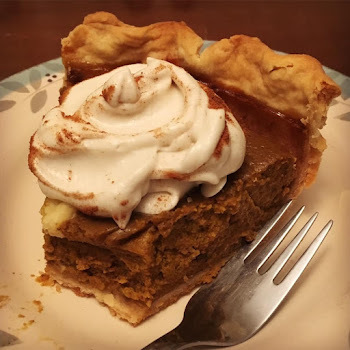 You can find the pie filling recipe at the bottom of this post. I love Autumn! I love the colours and the smell, and the cooler weather. I love the sound of leaves crunching as I walk. I love leaves in general... all year long but mostly in Autumn when the colors burn to a warm flame! I will be making a pattern for this little Autumn Trivet introducing the technique of cut-away appliqué. This beautiful wool felt bird has been standing guard over my little egg basket of twine for more than 8 years! 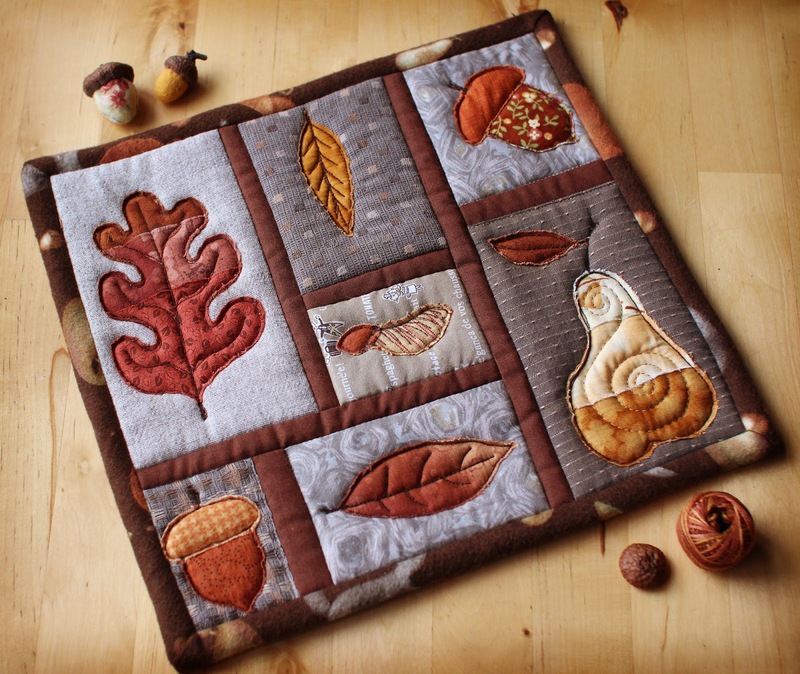 I cherish my bird & oak leaf, as well as my pear & felted acorns. 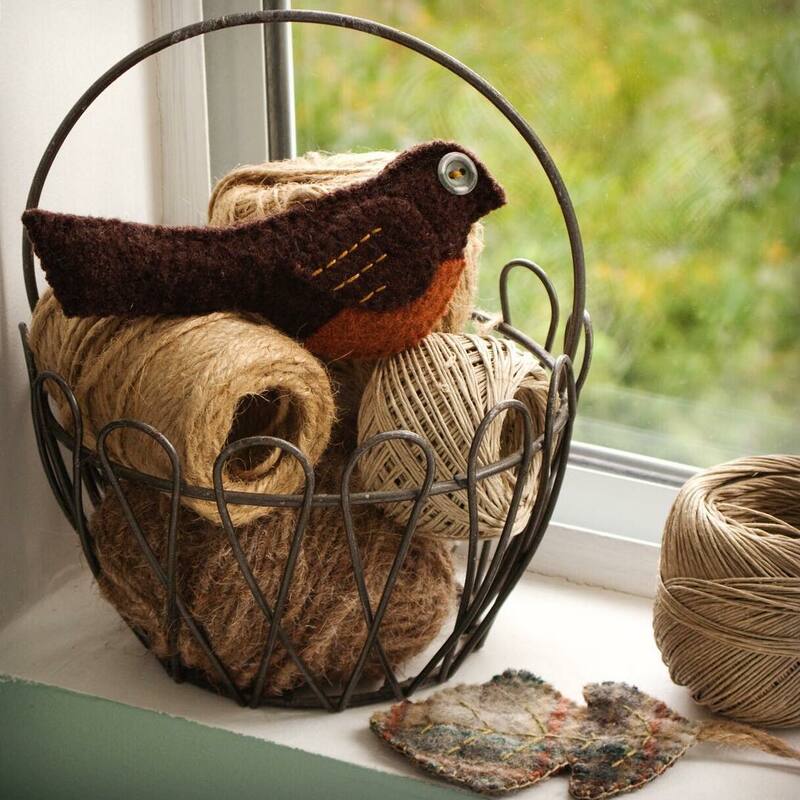 Check out all of Lisa’s wool creations at Lil Fish Studios! I am looking forward to using this stash of wool that I have been coveting for years. Perhaps the leaves will inspire me? I updated the look of my SHOP recently. 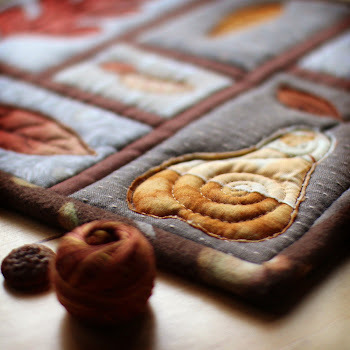 Pop on over to check it out... there is still time to sew some Pumpkin Coasters! I hope you are all enjoying this time of year as much as I am. 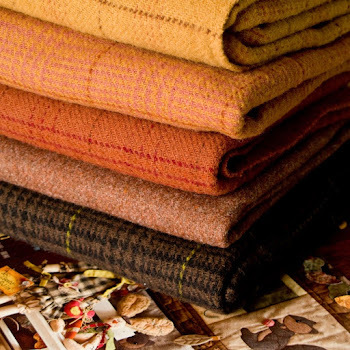 Stay warm & cozy, and join me for tea, pie & crafting! Whisk together and pour into unbaked pie crust. Bake 425F for 15 min & 350F for 45 min or until filling is firm. 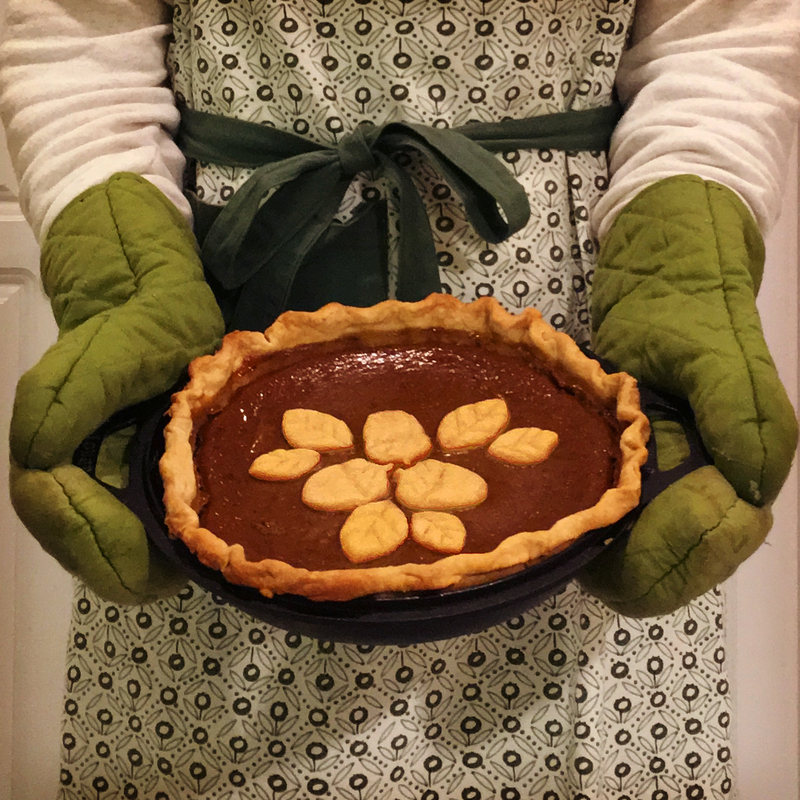 Thin pies will be ready sooner. Serve with coconut whipped cream! I use 3-2-1 pie crust recipe made with Vegan Becel. It’s a soft dough that doesn’t shrink. Add flour to make cut-outs. Bake cut-outs until lightly browned and place on pie once filling has firmed. Tout est vraiment superbe... j'adore. 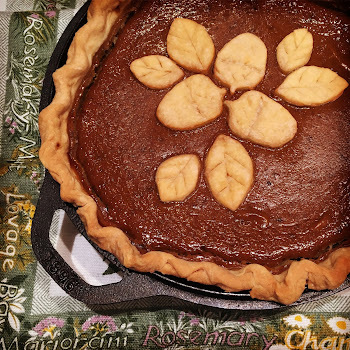 Those pies look absolutely fabulous, as well as the rest of your fall decorations. That looks super yummy ! Happy autumn my friend ! I love your autumn creations, they are all so pretty & adorable !